When the spring gobbler season and shed hunting is in full swing, you’ll probably spending a lot of time in the woods looking at the ground for antlers and turkey sign. Something else you ought to be on the lookout for is a weird little pitted thing that looks like a small, lumpy, brown brain. This time of year, that organism is most likely a common morel mushroom, a popular item of spring foragers. Here’s how to properly identify this delectable fungus. The common morel (Morchella esculenta) is a prized wild mushroom that grows in forests and shady areas, primarily in April and May. These mushrooms are usually 2 to 4 inches tall. The tan, gray, or brownish colored head with irregular pitting is well camouflaged against leaf litter. If you cut the mushroom completely in half, it should be entirely hollow inside. Look carefully for the cone-shaped head to be fully fused to the stalk at the lower end. 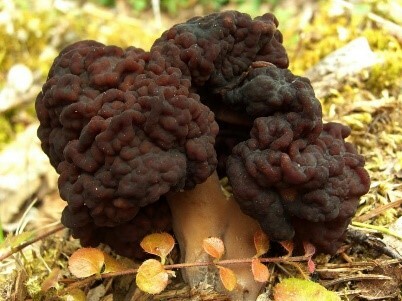 If the head is only attached at the top, and hangs like a skirt, you are probably looking at a false morel, which can be very poisonous. False morels (the genera Verpa and Gyromitra) usually grow in the summer and fall, which are great times to avoid anything resembling a morel. Another way to properly ID an edible morel is to make a spore print, which, for a common morel is yellowish. Here’s how do that. 1. Handle your foraged mushrooms carefully, and assume that any unidentified mushroom is deadly. Get the whole thing if possible, but the cap is the part you need for spore prints. 2. Wrap each individual mushroom in wax paper or a piece of aluminum foil for transport. Plastic bags will make them sweat, and putting multiple mushrooms in a bag can create confusion. 3. Place the mushroom cap gills-down on a piece of white paper and set a cup or bowl over it. Allow it to sit several hours or, better yet, overnight. 4. Remove the cover and lift the mushroom cap. Observe the color of the spores that were deposited, and use that color for identification. Some mushrooms deposit white spores, which are hard to see on the white paper. Set a strong flashlight beside the paper, shining across the surface, to assist in your identification of pure white spores. Check this color against several guides, and double-check the mushroom’s structures against similar mushrooms to ensure that you have the right mushroom ID. 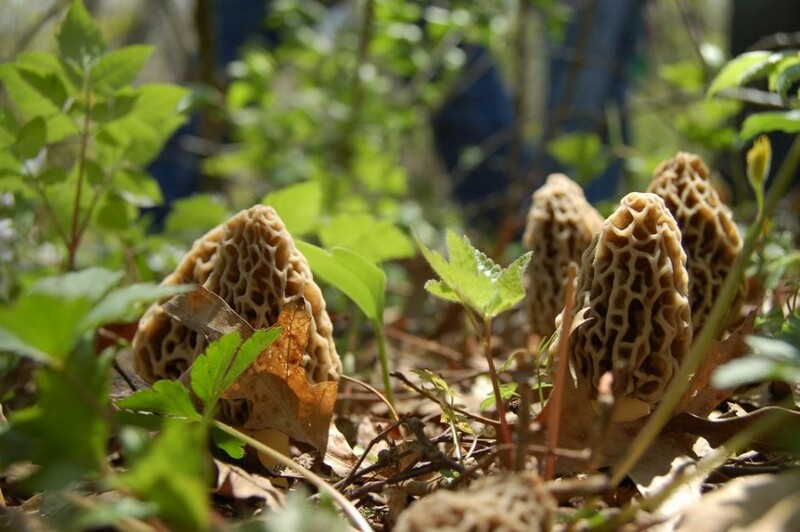 How is the morel hunting in your area so far this spring? Have you ever had a bad run-in with a misidentified mushroom? Deer have always been prey species. 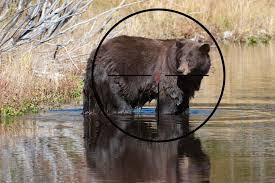 They use all of their senses to avoid being killed by predators like coyotes, wolves, bears, hunters, and automobiles. Their most refined defense is their nose. Whitetail deer are believed to have noses one hundred times more sensitive than a dog’s. Uneducated deer are usually not exceedingly wary of human scent. But if you want to get close to a mature buck you’re going to have to control your scent. Here are five great tips for controlling human odor while deer hunting. 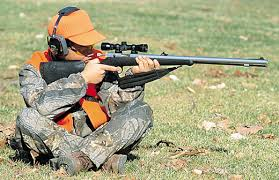 Scent Control Clothing The first step is scent control clothing. Some clothing utilizes activated carbon, others use silver to eliminate odor. Just about everything from base layers, socks, gloves, pants, jackets, hats, and facemasks are made to control odor. Of course, rubber boots are also an important addition. It doesn’t matter what you wear if you don’t take care of your clothing. If you’re wearing your scent free clothing in the truck or during breakfast you might as well wrap yourself in bacon. Don’t put on your hunting clothing until you’re in the field and have everything else ready to go. 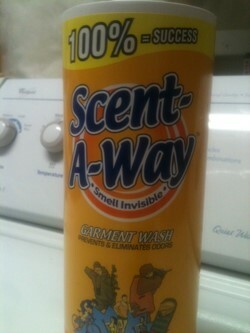 Don’t wash your scent free clothing in normal detergent. Use scent free, phosphate free, UV brightener-free detergent. In fact, wash a load of your normal clothes in this detergent before doing a load of your hunting clothes just to get any residual detergent out of the machine. Once clean, clothing should be stored in a sealed, scent-free container. De-Scenting Shower Your body is constantly creating odor. Bacteria is the chief cause of human odor and most scent killing soap is designed to kill bacteria. Lather your entire body and leave the soap on for about a minute before rinsing off. Letting the soap sit on your body will allow it to kill more bacteria. Be sure to wash a supply of towels with your scent free laundry detergent too. Before dressing, apply scent free antiperspirant. Dirty Mouth One of the most bacteria rich environments on your body is your mouth. As you exhale, much of the scent from your mouth is dispersed into the air. Brush your teeth with unscented baking soda toothpaste at home and just before going into the field. Plaque is a chief producer of scent. Regular visits to the dentist can help control plaque and in turn, control scent. Chewing gum flavored with vanilla, apple, or mint can mask your scent. Scent-Eliminating Sprays Just about everybody sprays down before hunting these days. But are you doing a good enough job? Buy your spray in bulk at the beginning of the season and don’t be shy about using it. Spray down at the truck and again in the stand. Spray down everything including yourself, your equipment, decoys, calls, and anything else you may have with you. 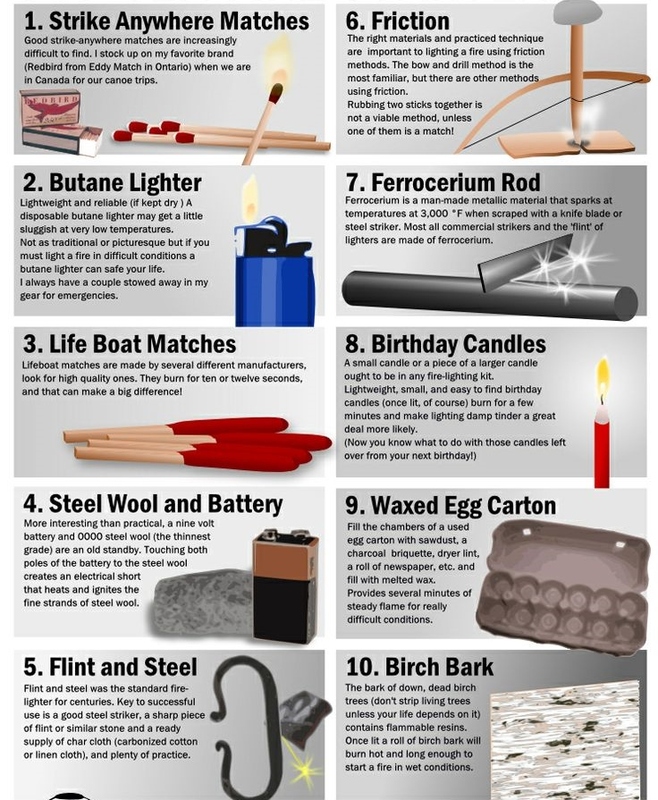 Using Scents There are two basic types of scents; cover scent and lures. I have seen deer lure scents work but personally avoid them. Using a deer lure scent is essentially asking deer to use their nose at a heightened level. Think about walking into your house when something really good is on the stove. You try to figure out what it is that you are smelling and are very aware of the scents in your home. If you come home before dinner is on the stove your house just smells like it always does and you’re probably not thinking about scent at all. The same principle applies for deer in my opinion. I do like cover scents but I don’t buy commercially produced scents. 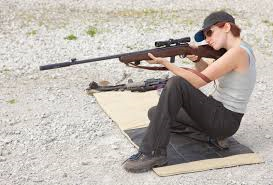 I prefer using scents from my hunting area. For example, we have junipers, apple trees, and various pines scattered throughout the property. I’ll use branches and apples to mask my scent. I’ve also been known to walk through cow pies on the way into my stand. You’re never going to completely eliminate your scent. 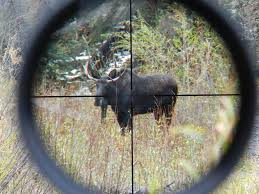 But if you can control it well, you can make a buck and possibly even a bear think your 200 yards away when you’re really just 20 yards away. Ruffed Grouse normally have a short life span. From a brood of 10 or 12 hatched in late May or early June, usually 5 or 6 will have died by mid-August. Among those living to disperse during the fall shuffle, about 45% will have been lost by late fall and early winter. Another 10% die over winter and during early spring, so that only about 45% of the young grouse alive in mid-September live to their first breeding season. 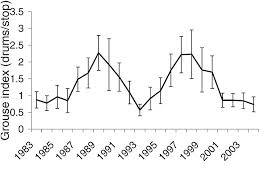 In subsequent years a given cohort (a season’s crop of young birds ) continues to shrink by about 55 to 60% per year. So from 1000 chicks hatched in late spring, about 400 normally survive to early autumn, 180 survive to the following nesting season, 80 are alive a year later, 36 live to breed a 3rd time, 16 may breed a 4th time. 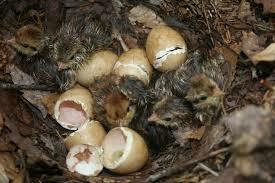 One out of 2200 chicks hatched may live as long as 8 years. Most Ruffed Grouse die a violent death to provide a meal for one of a number of meat-eating predators, for in the natural scheme of things, Ruffed Grouse are one of the first links in a complex food chain. Some also die from disease and parasites, or from exposure to severe weather, or accidentally by hitting trees or branches while in a panic flight after being frightened. Across the major portion of the Ruffed Grouse range, the winged predators or raptors are most efficient at taking these birds. Although the goshawk is certainly the most efficient of all grouse predators, the horned owl probably kills more grouse annually than any other predator. This is due to the cosmopolitan distribution of these owls and the likelihood that any woodland capable of supporting grouse will have resident horned owls, or at least be regularly visited by them. Yet, where cover is adequate, grouse can find security and maintain their abundance even when goshawks and horned owls live and nest nearby. Conditions are seldom static in the world of the Ruffed Grouse and their numbers fluctuate from year to year, and from decade to decade. Across most of their range in the northern states, Canada and Alaska, Ruffed Grouse numbers have risen and fallen in a somewhat predictable pattern for most of this century, in what is often called a “10-year cycle”. In the Lake States, for example, periods of abundance usually coincide with years ending in 0, 1 or 2, and the bottom of the depression in years ending with 5 or 6. This is not invariable, but a general, regional trend. These “cycles” sweep across the continent more or less as a wave, beginning in the far Northwest and Northeast, and progressing southward and southeastward. The factors responsible for these periodic fluctuations remain poorly understood, and appear to involve a number of different factors interacting with one another in different ways at different times. 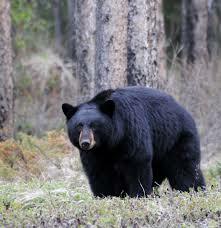 The one factor which does not appear to be important is hunting during the period of fall dispersal. The primary causes for the short-term fluctuations in Ruffed Grouse abundance appear to be related to weather trends and variations in the quantity and quality of food resources. These are interrelated to a large degree. Superimposed upon these two basic factors is that of predation – as predators take advantage of grouse placed in jeopardy by unfavorable weather conditions or inadequate food resources. A favorable combination of weather factors and food resources may allow these grouse to survive the winter nearly immune to predation. These combinations of factors also affect annual production. If grouse spend the winter feeding on poor quality foodstuffs, or have to use an excessive amount of energy to keep warm, hens may not have sufficient reserves to produce a clutch of viable eggs, or vigorous, healthy chicks in the spring. Across most of their range, the most productive and most abundant Ruffed Grouse populations are those living where they spend most of the winter burrowed into 10 inches or more of soft, powdery snow, and emerge for only a few minutes once or twice a day to take a meal of the male flower buds of the aspens. Our Ruffed Grouse can be considered snow lovers or “Chionophiles.” Ruffed Grouse tend to be less numerous and less productive if they live in regions where they cannot burrow in snow and feed on aspen (poplar). There also seems to be a poorly understood relationship between the color-phase of a Ruffed Grouse and its ability to survive severe wintering conditions, and its vulnerability to predation. Longer term changes in Ruffed Grouse abundance reflect how we have treated our woodlands and forests. There is also reason to suspect that much of the severity of the “10-year cycle” is largely a result of how we have treated forested lands. These birds depend upon the food and cover resources produced by a group of short-lived trees and shrubs growing in full sunlight which develop following the severe disturbance of forests. In earlier times, fire and windstorm were the ecological agents periodically renewing forests and creating satisfactory habitat for Ruffed Grouse and many other species of forest wildlife. Ruffed Grouse should be considered a “fire-dependent” species in the natural scheme of things. Our current reluctance to cut forests, even under strict management plans and the suppression of fire to protect growing forests, have upset this natural sequence of events. In the early part of this century, farm abandonment and the recovery of forests from unregulated logging and fires produced habitats which probably resulted in the greatest abundance of grouse in recent times in most of Canada & northern United States. 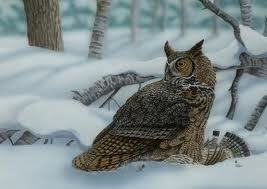 But as forests mature under protection from fire and cutting, they lose the habitat qualities Ruffed Grouse require. In many regions, Ruffed Grouse numbers have declined as forests have become more extensive and older. Ruffed Grouse abundance can often be readily restored by proper harvest management of forested lands, or through the judicious use of prescribed fire that is ongoing in northwestern Ontario.